Open a new 800 x800 pixel document in Adobe Photoshop. 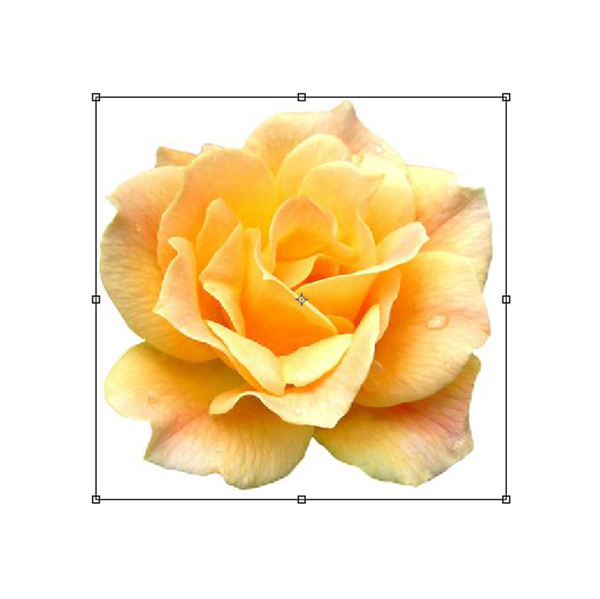 Use the Marquee Tool (M) to select the rose you’d like to mimic. 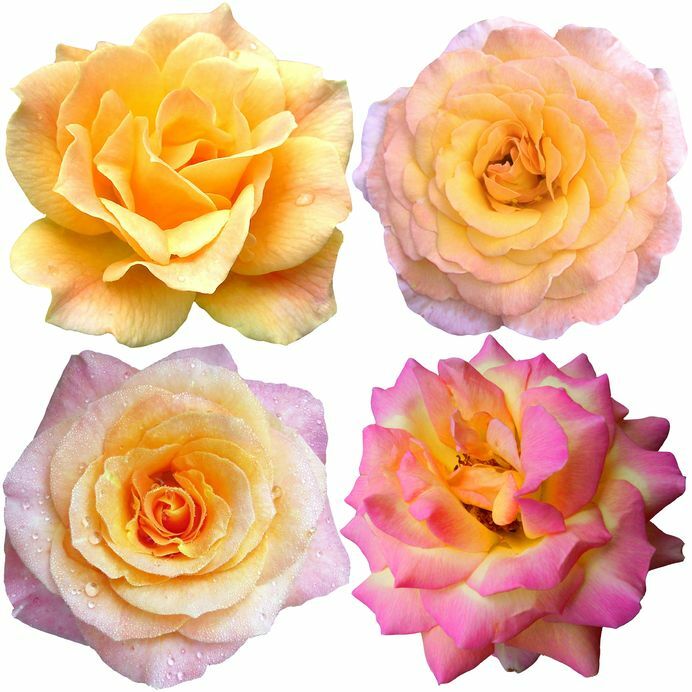 Copy and paste to place your rose reference in the new document and resize it with the Free Transform Tool (Control-T). Select your Brush Tool (B). Set the Size to 5 pixels, the Opacity to 100% and check the Pen Pressure option under Shape Dynamics. 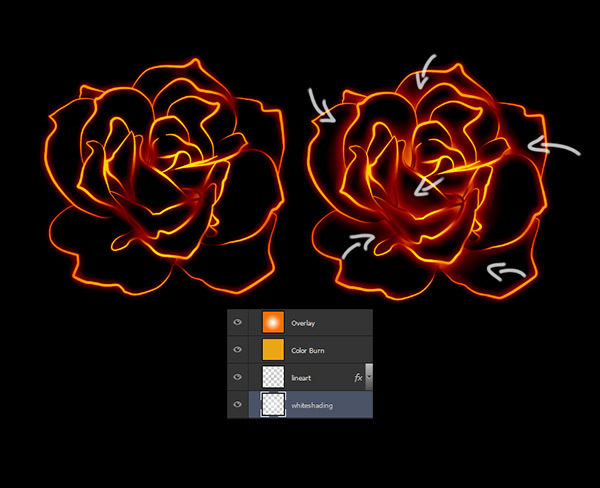 Now use the Pen Tool (P) to begin tracing the petals of your rose. When you’re finished Right-Click to Stroke Path, making sure that the Brush and Pen Pressure Options are selected. Fill the background with black. Go to Image > Adjustment Layer > Hue/Saturation and bring the Brightness to +100 to turn the line art white. 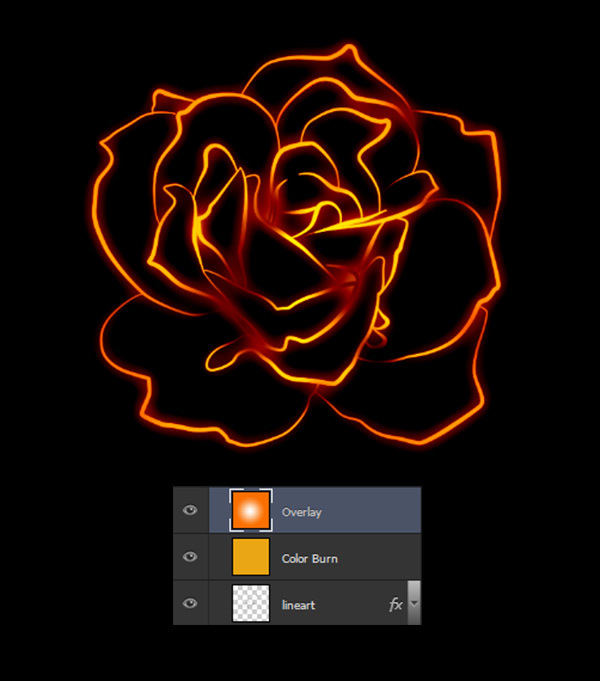 Quickly add a bit of depth to your line art with by burning the edges with the Burn Tool (O). Select your line art again and Right-click to go to Blending Options. Add an Outer Glow with a Spread of 2, a Size of 20, and a Range of 50. Add a new layer above your line art and Fill it with mustard yellow. 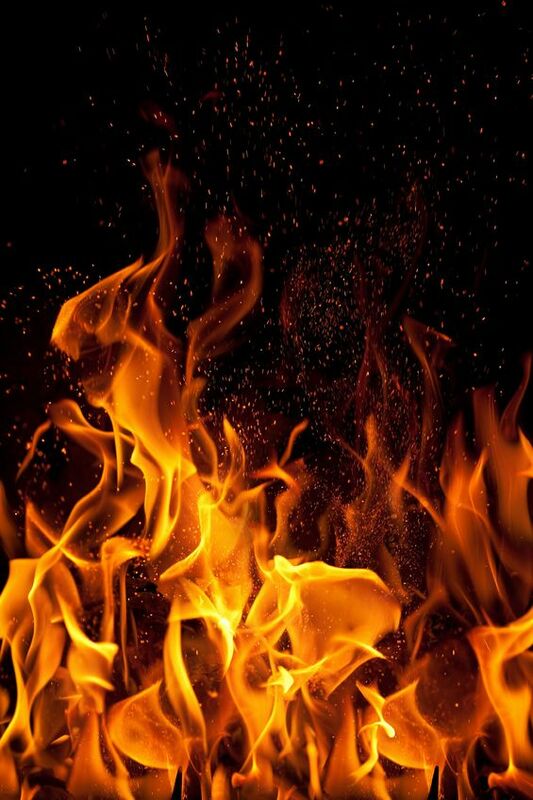 Set the layer to Color Burn. Add a second new layer above that one and set it to Overlay with a fill of orange. Use the Radial Gradient Tool (G) to create a white gradient in the center. 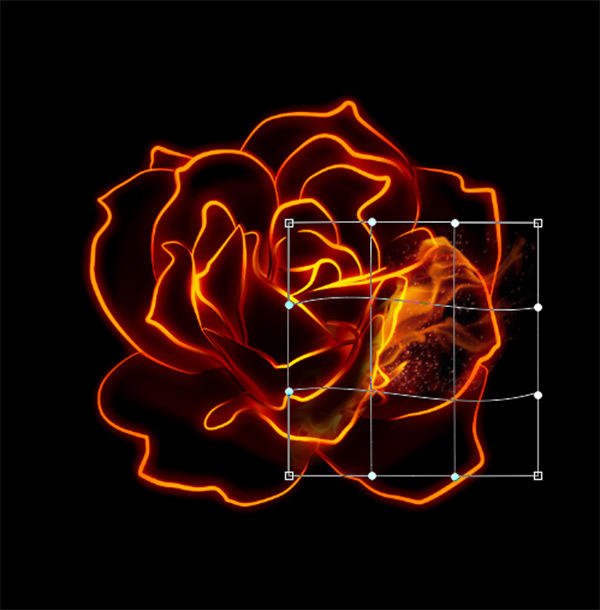 On a new layer underneath the line art, use the Brush Tool (B) to add some volume to the inner parts of the rose. Because of all the adjustment layers on top, the colors will automatically apply. Merge these layers together. Copy and paste your fire reference onto your document. 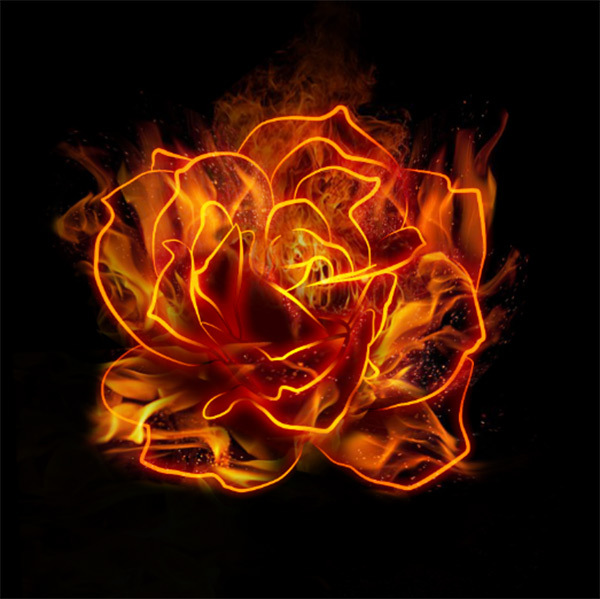 Set the layer to Lighten and use the Free Transform Tool (T) to warp the fire so that it adheres to the petal well. 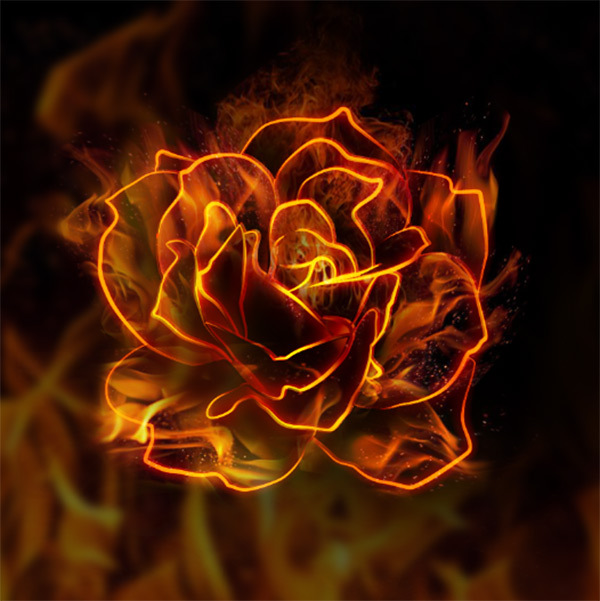 Continue adding more fire until your entire rose is full. 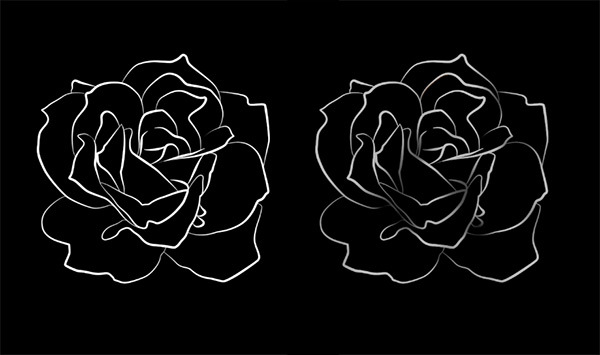 On a new layer set to Overlay use the Brush Tool (B) set to the color black to paint in depth between the petals. This will really help the rose come to life! 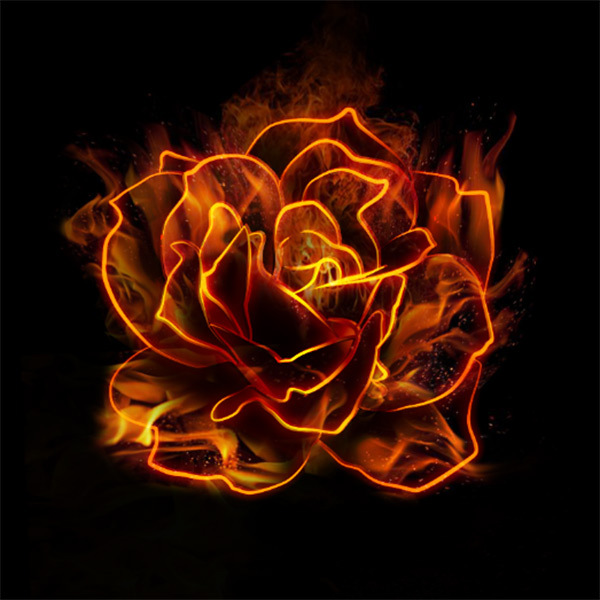 You can keep your flaming rose as is, or finish it with a little play on depth of perception. Simply Copy and Paste another fire reference onto the document. 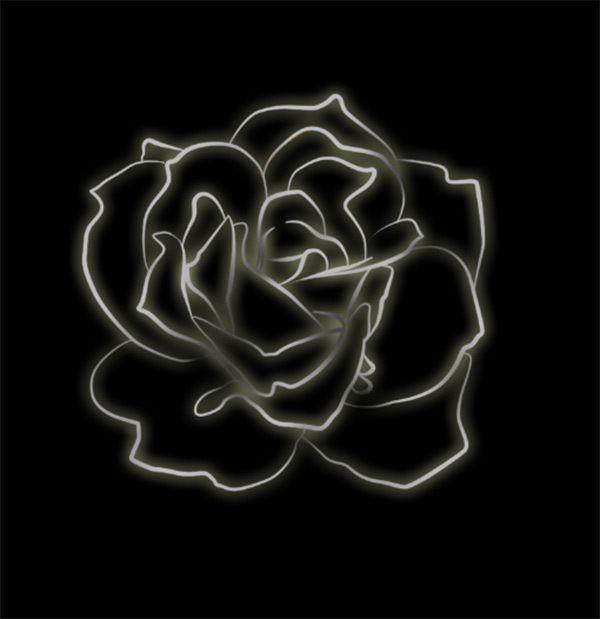 Resize it, and erase any parts that are overlapping the rose. And that’s it! I hope you’ve enjoyed creating this hot, flaming tutorial! Impress your friends with what you’ve learned and apply this technique to different things. Good luck!